Lou was a tai chi master and spent his last days here being happy and dazzled by the beauty and power and softness of nature. He died on Sunday morning looking at the trees and doing the famous 21 forms of tai chi with just his musician hands moving through the air. Lou Reed’s memorial took place 50 days after his death on Oct. 27, at the end of the 49 days of the Tibetan Buddhist transitional state after death, called Bardo. The three-hour long ceremony included his work as a solo artist and the music Lou wrote for the Velvet Underground. All of which were played alongside a greater dedication to Lou’s practice of eastern philosophy and traditional martial arts. During the last decades of his life, the American rock ’n’ roll legend studied directly under Master Ren Guang-Yi, a champion of Chen Tai Chi. 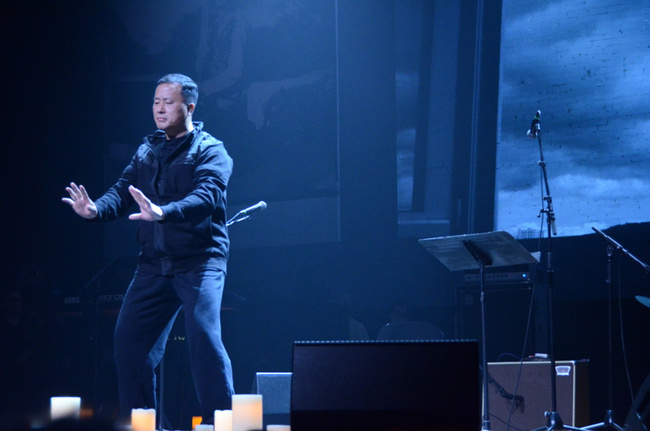 He took to it right away and was so influenced by the martial art that he even released an album in 2008 that he wrote specifically for listening while training tai chi, called Hudson River Wind Meditations. We spoke with Master Ren Guangyi about Lou’s passing, and talked about his love and promotion of gentle martial art. 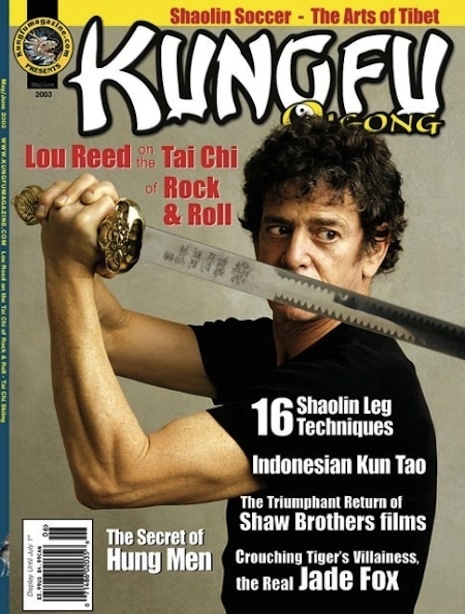 Master Ren: Lou Reed’s previous long-time publicist, Bill Bentley, commemorated him by aptly describing him as a “Rock ’n’ Roll Warrior.” For me, his beloved teacher, I would also describe him as a “Taiji Warrior” who represented the highest ideals of martial arts. Lou energized and inspired us with his enduring love of Taijiquan—to which he credited for the health and vitality he displayed for years. To that, Lou worked consistently to spread the powerful message of Taiji, a martial art that gave him so much joy and well-being, that he truly wanted the whole world to experience what Taiji gave him. With Ren Guangyi by his side, he exposed parts of the world never before privy to authentic Chen style Taiji with over 150 live performances globally, featuring master Ren performing Taiji live while Lou's band played music. From this extraordinarily prescient work, Lou promoted Taiji in unprecedented venues, including a performance on The Late Show with David Letterman, a concert at the Winter Olympics closing ceremony in Turin, Italy, and a pioneering display and instruction of Taiji at the Sydney Opera House. With press appearances, personal testimonies, a pilgrimage to Taiji's birthplace, Chenjiagou, Lou spread the message of the wonders of marital arts to millions. I am grateful for his sharing, blessing, and sheer love for an art understood best by those in the know. With his decades-long commitment to Chinese martial arts and his final ten years devouring Chen Taijiquan like only a warrior can, he was a knight errant for Taijiquan of the highest order who was also a real martial arts tough guy with genuine Taiji skill. I was also privileged to see when Lou carried his classical Chinese weapons with him. I recall a verse of his that described himself as flying with a sword strapped to his back. This is exactly how I will remember him. As brothers in arms in martial arts, I always had his back when he was here and will continue to do so. We will never let anyone forget his legacy of creativity, courage, inspiration, and warmth embodied by his incredible, enduring passion for Taijiquan.